The feature is located under Logs as it represents different king of log gathering. Keep in mind that this performance data gathering feature is different than the Capacity solution. This feature does not require SCOM-VMM integration and works with agent-only connected computers. Of course you have the option to add all of them select only a few of them or add other counters. When you click add you will see that besides that you can choose which performance counters to add you can also choose at what interval they are gathered. 10 Seconds is the minimum. I do not know that is the maximum but I’ve tried with 10 minutes and it works. How frequent performance data is gathered reflects in the accuracy of the data. If you gather data on 2 minutes for example you will not be able to see small spikes if you have them on your servers. If you want to add other counters just type some word and a matched of performance counters for that word will appear. Very easy and convenient. In summary the configurations are very flexible and convenient. Some performance counters may not be updated with new data every second thus you can gather data on longer interval and save money. I had different initial expectations on the configuration of this feature and now that is GA it exceeds them a lot. And actually you can expand all the graphics on the page if needed. With lighter blue color we can see live the new data coming. Along with the graphics you will see Last and Average value being displayed as well on the right. 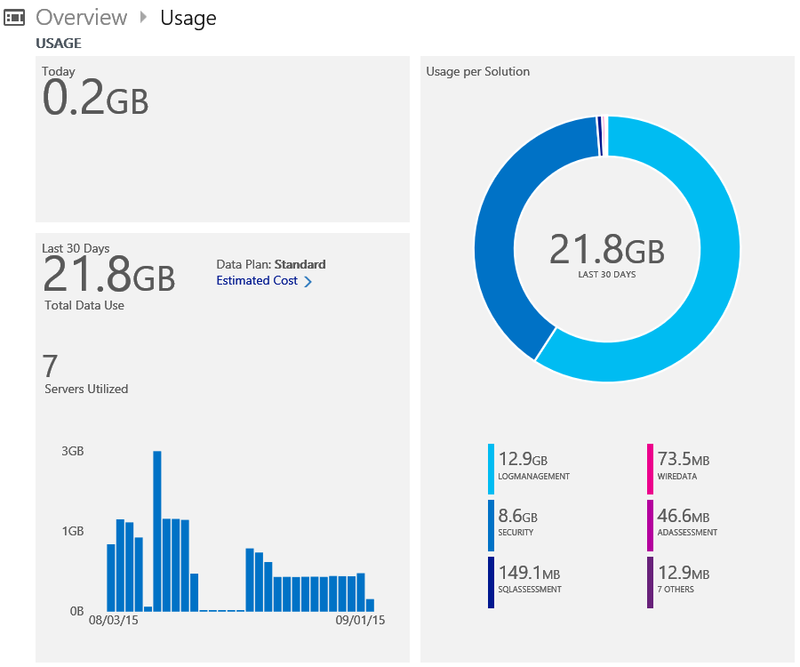 Now this performance data is available in OMS as logs that are aggregated and you can actually use with queries. When you have more servers you will get better results with that query. But the feature is very light on the cost from my perspective and you can always increase the interval of data gathering. In my case Log Management is big because I’ve enabled a lot of logs. I hope you will like this feature. I am pretty excited about it and it exceeds way more my initial expectations. Of course I’ve got some feedback as well which I’ve already gave to the product group. If you have any feedback as well feel free to share it on the UserVoice. My performance data arrives as a string of number separated by space in the EVentData field of the EVentLog in every 5 minutes. How can I extract them (using custom fields) and assign a name to each value as my custom performance counters? The scenario you are describing is not possible that way. The reason behind this is when you upload data from event log that data in OMS is uploaded to the Event Space in OMS. 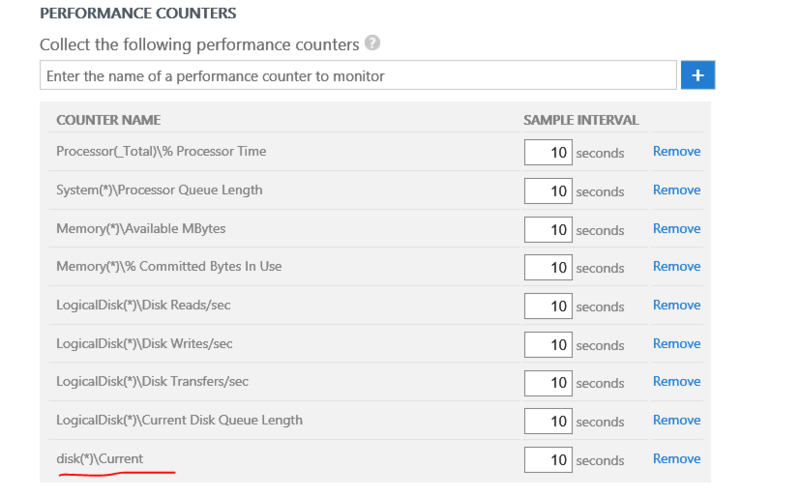 Performance data in OMS has its own space and it is called Perf . So to be able to visualize performance data you need to upload into that space. –	Somehow to be able to log that performance data into performance counter(s) on a server – some custom application or something else. You can add that counter in OMS and the data should be uploaded. OMS can take not only predefined Windows performance counters but also custom ones created by third party applications. –	May be trough custom management pack and SCOM you can create your own management pack that gets that data as event log or from somewhere else and uploads it to the right space in OMS. Tao Yang has a blog post on developing a management pack that uploads performance data to the Perf space in OMS trough SCOM. Unfortunately he gets that data from existing performance counters. May be ask on his blog if you can actually get data from other sources, convert it and upload it to OMS to the right space (Perf). I’m appreciative for your inputs. I will check out Tao Yang’s blog. This might help you in your task. Just make sure that you test it good so you do not have performance issues when the script you create.